you're a collector-car owner, or simply one of the millions of Americans who celebrates the hobby by attending local car shows, weekly cruise-ins, and the like, you might want to make a special point of hitting your favorite Friday-night old-car haunt three weeks from now. That's because the United States Senate unanimously passed Senate Resolution 513 last month, officially designating July 9, 2010 as Collector Car Appreciation Day. The resolution, co-sponsored by Senators Jon Tester (D-MT) and Richard Burr (R-NC), states "that the collection and restoration of historic and classic cars is an important part of preserving the technological achievements and cultural heritage of the United States." Moreover, the text of the resolution points out that the hobby and the myriad related businesses supporting it provide jobs for people across all 50 states. In observance of the occasion, the resolution "encourages the people of the United States to engage in events and commemorations of `Collector Car Appreciation Day' that create opportunities for collector car owners to educate young people on the importance of preserving the cultural heritage of the United States, including through the collection and restoration of collector cars." It's easy to dismiss resolutions like this as pure frivolity, especially in the face of more pressing matters facing the nation. That said, these things get passed all the time in both houses of Congress, and Sens. Tester and Burr have a point. 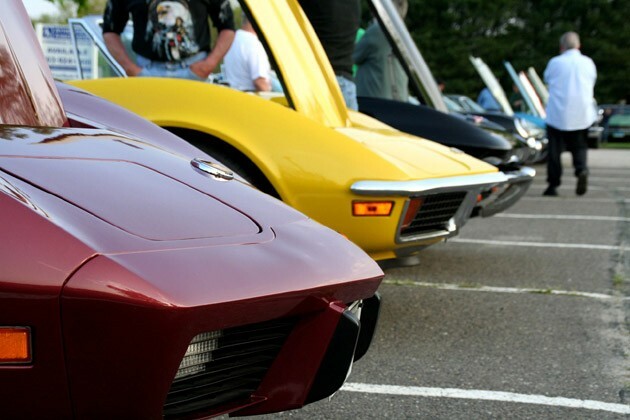 Not only does the collector car hobby help preserve important bits of Americana, those weekly cruises and shows encourage new generations to get involved and keep the pastime going (along with the industry that exists as a direct result of it). So, on July 9th, grab your family and friends, head to the local cruisers' gathering point, and celebrate what those men and women are preserving. It's American history: the kind you don't generally learn in schoolbooks. cool. do we get the day off? is the Church of car a recognized religion??? if so im putting in for a personal day due to religious reasons. That is pretty cool. I never heard that news. Thanks!